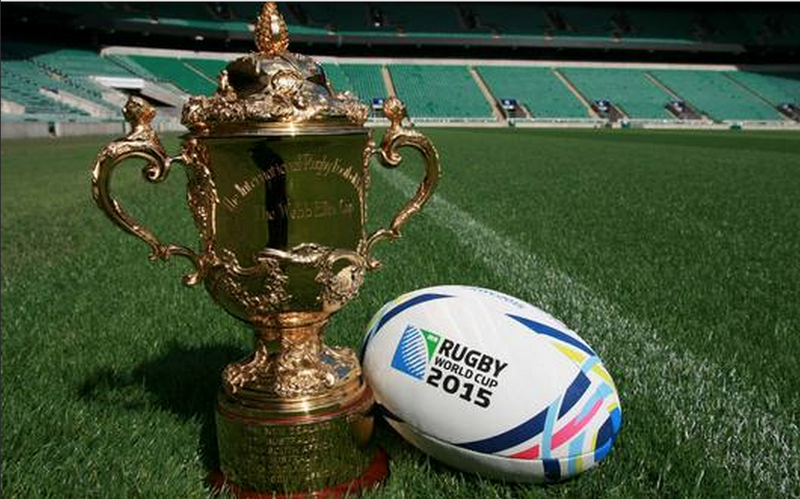 One of the key Rugby World Cup organisers in Milton Keynes has been made a Destination Milton Keynes Ambassador. The Rugby World Cup 2015 had a huge impact on Milton Keynes, with an estimation that it brought in around £10 million to the local visitor economy but also in helping to raise the profile of the city and truly establishing it on a worldwide sporting stage. In honour of these achievements, Destination Milton Keynes (the official tourism organisation for the city) last week awarded one of the lead members of the team that bought RWC2015 to the city – its highest award. Geoff Snelson, Director of Strategy at MK Council was made ‘DMK Ambassador’ at the organisation’s event last week to celebrate MK’s 49th birthday, held at the Mercure Parkside. Only two people have previously been awarded the honour and it goes to members of the MK community that have made a real difference to the vitally important visitor economy, last year it was Marian Livingstone, Chair of MK City Orchestra. DMK Chair, Dr Ann Limb, commented after the presentation; “Geoff Snelson played a massive part, on behalf of Milton Keynes Council, in bringing Rugby World Cup 2015 to Milton Keynes. He lead the internal team of council staff who made sure all the unglamorous but critical work was done behind the scenes – and at the same time stepped up to the plate to answer any tricky questions about roads and disruption asked by anxious residents.